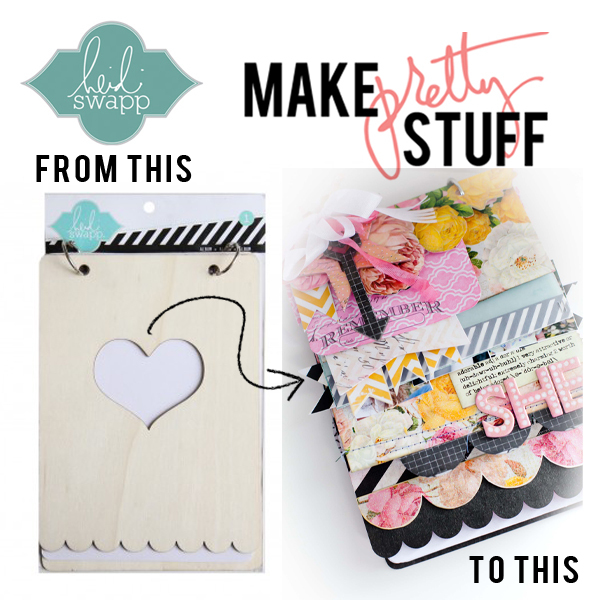 so how many of you incredible scrappers have been able to get your pretty little hands on the Heidi Swapp Sugar Chic paper pack that is now available at Michaels? is it NOT amazing!?! seriously i cannot get over the pages and pages of incredible patterns, colours and details that make up this fabulous collection! truly amazing eye candy! i was so ecstatic to learn that for one of this month's assignments, i was able to use this collection to create a mini album (which i LOVE) specifically for girls. yesterday my beautiful friend and AMAZINGLY talented team member Maggie used her album to create a boy mini album ALSO using Sugar Chic! i know what you are thinking....how can one create a boy project from a collection of papers full of pink? trust me...just head on over and see what she did. your jaw will drop! maggie and i were both given the exact same materials list to use which demonstrates just how universal the collection really is! 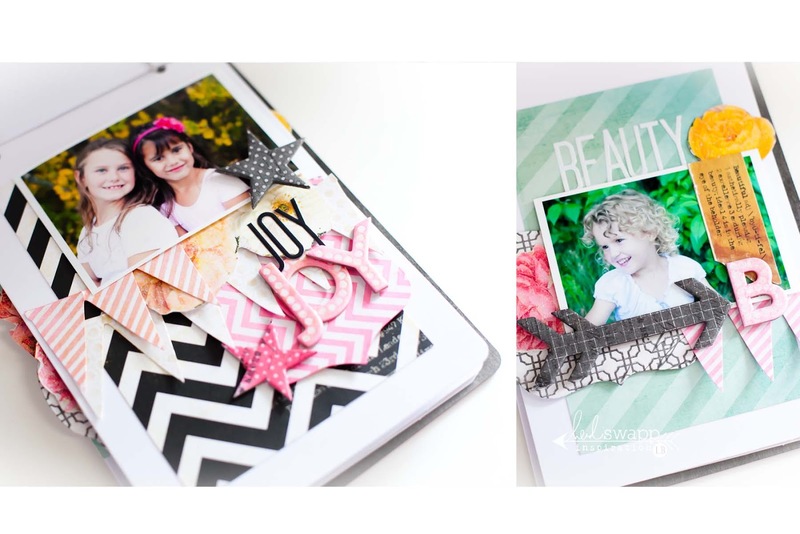 our challenge was to use one of the amazing Heidi Swapp Wood albums and transform it into a personalized custom made scrapbook! you can see in the picture below that from a plain white bare chipboard album was born a scrapbook FULL of colour, pattern, detail and beautiful photographs...specifically for girls! you can read all about my project and the juicy details today on Heidi's blog. here i will just share with you a look inside of the pages so you can see just how much fun i had layering all the bits and pieces together. my "twist" on the album was to use the cover as an actual page and base. 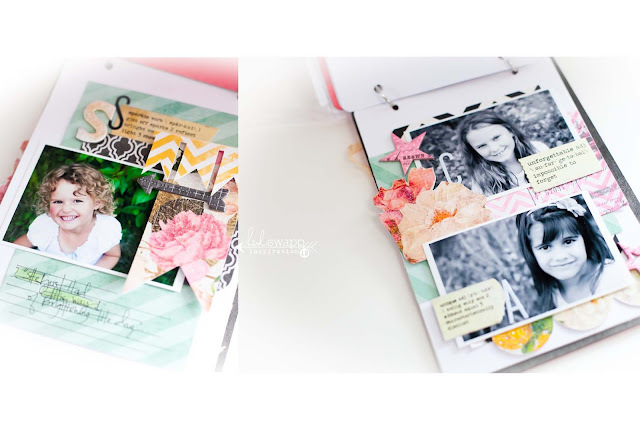 i added pages that i trimmed in various sizes on top creating a cascading layered effect. i love the colors, the peek-a-boos of patterns that the fact that it is completely interactive! 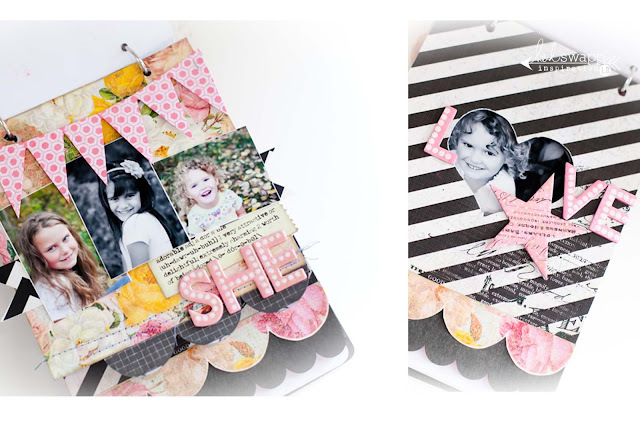 here are the inside pages where i show off photos of my cousin's GORGEOUS girls. seriously...do they not just melt your heart? i love these girls with my complete heart and soul. 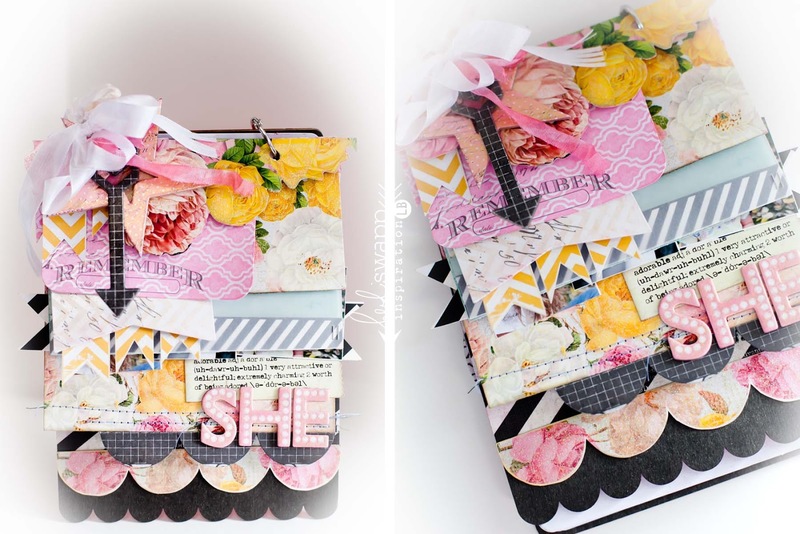 i hope you will pop over to my featured post on heidi's blog today to learn even more ways to use your sugar chic paper packs, color shine, and wood album to create one just like this...or like maggie's. or better yet one that truly reflects YOU. the freedom to make these types of projects completely your own is truly one of the best features. i promise you will have SO much fun and will become addicted to these wonderful little mini wooden albums. SO many possibilities to make pretty stuff! Lindsay - I popped over here after seeing this featured on Heidi's blog. I have to say this is just beyond gorgeous! I think it is my all time favorite Sugar Chic project ever. WOW! Jaw dropping amazing! Can't wait to run out and buy this album...I think it's the ONLY thing I didn't buy yet! Lindsay, what have you done ? This has to be the visual definition of PrettyPrettyPretty ! Sugar Chic is the most perfect collection of pink & stripes & floral ever - a "Boy" project didn't come to mind until I saw Maggie's wonderful interpretation yesterday. 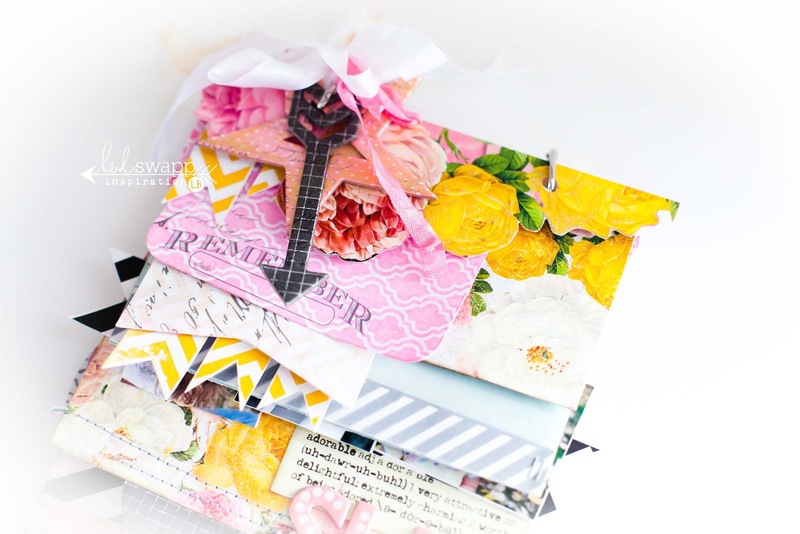 Today I studied, in awe, your step-by-step on Heidi's blog and I loved your idea to redefine the top wood cover and make it a page within your album - love that. I have to have one of these ruffly, layered, pretty things.....back to Michael's. Do you seriously know how INCREDIBLE this is?? ?